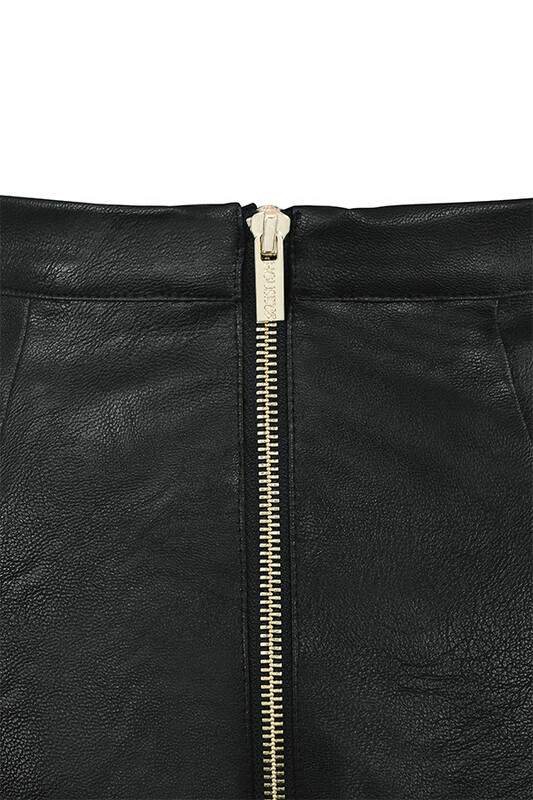 Made from our softest vegan leather, Kiri is just too fly. 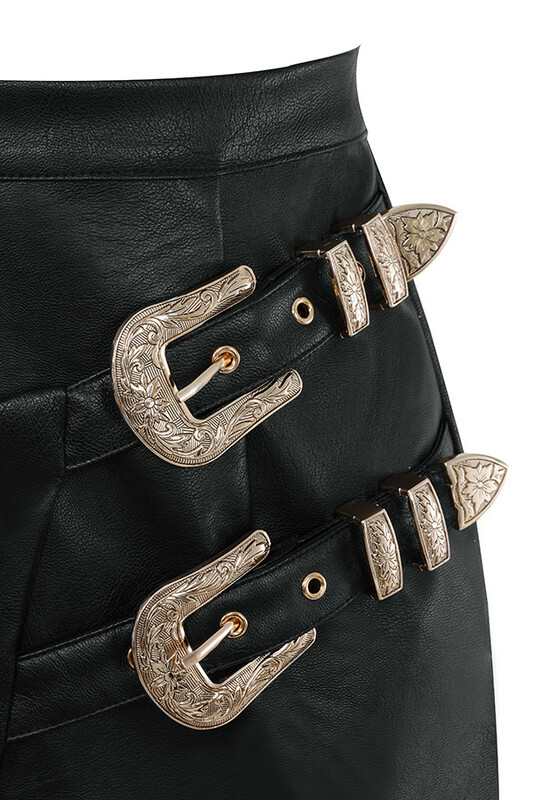 Featuring multiple belt buckle details, 'Kira' has an asymmetrical apron front, belt buckles to the hips and a shorter cut. It zips up the back for easy on. 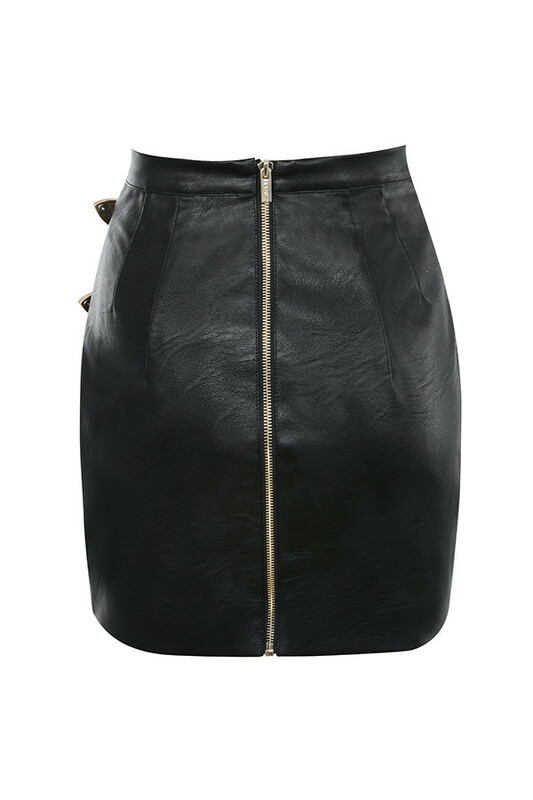 We love this teamed over a bodysuit and thigh boots. Made from stretch vegan leather.